Here’s our Top Picks for the Weekend of March 30th – March 31st! Eat some Swedish pancakes, learn how to dye things with avocado pits, take a free self-defense class (9 & up), celebrate Earth Day at the Zoo or Superhero Day at Fairytale Town, learn about old-fashioned black powder weaponry and do S.T.E.A.M. 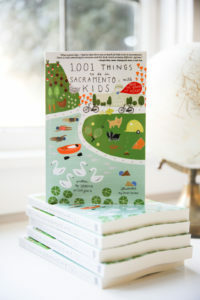 activities at Sutter’s Fort, see the flowers blooming in a cemetery, play old school video games in a vintage arcade, learn how to stop bleeding and save a life, take part in the grand re-opening of the Sacramento History Museum, listen to Joanna Gaines’ new children’s book, learn about lizards, see 50 jazz musicians perform for free on the waterfront, go to a multimedia ecology performance honoring Costa Rica, go to a free 2-hour absolute-beginners sewing workshop, look at the stars through a 17″ telescope, watch a college baseball game for $5, go-kart racing, ride a mini-zipline, be stunned by the ‘Cirque du Soleil Crystal’ magic, and so much more. It’s a weekend full of quirks, variety, and fun… grab some friends and try something new! Take a walk around the Stock Ranch Nature Preserve, a 47-acre open space park along Arcade and San Juan creeks. There are interactive displays on Native/Drought-Tolerant Landscape Garden, Wetland Exhibit, and Bird/Waterfowl Viewing area. Enjoy 1.5 miles of stroller-friendly walking paths. Bring a picnic lunch and enjoy the mild weather! Or drive over to the nearby Arcade Creek Park Preserve and play in the well-maintained playground and take a spin on the mini-zipline for little kids.